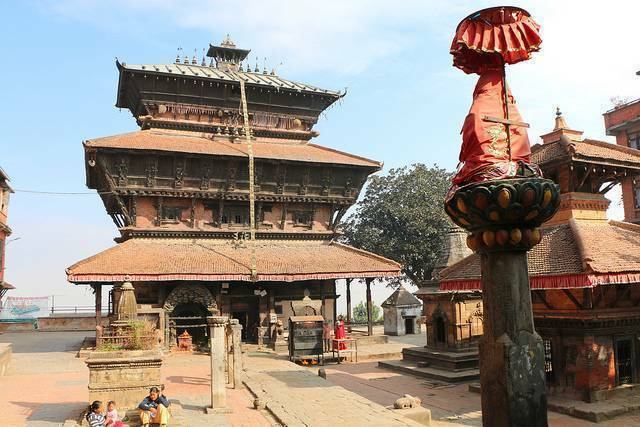 The ancient city of Kirtipur holds the historical chronicle of the Battle of Kirtipur. The literal meaning of Kirtipur is “glory city”. The main places of interest are Bagh Bairabh, Chilancho Stupa, and Uma Maheshwar Temple. Bagh Bairabh is a shrine dedicated to Lord Bairabh in the form of a Bagh (tiger), who is regarded as the guardian of the city. It gives a really nice touch of the Hindu religion. Chilancho Stupa is a buddhist shrine which dates back to the medieval period. It is one of the most important and ancient stupas in Nepal. The pagoda styled Uma Maheshwara Temple is a three storied temple situated at the hilltop. This Hindu temple is mainly dedicated to Shiva and Parvati. Since the temple resides on the top of a hill, one can enjoy picturesque view of the Kathmandu Valley and mountains, it is truly heavenly.